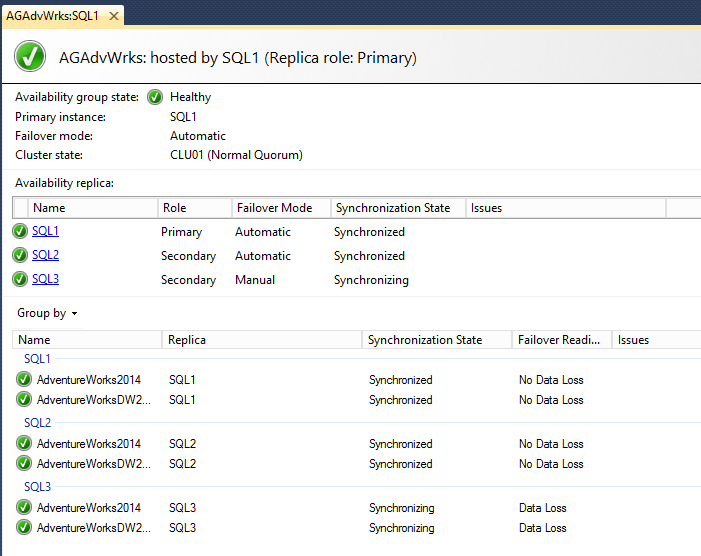 I recently came across a bug with SQL Server and Availability Groups whereby catalog view data is incorrectly reported on all secondary replicas. This bug has the potential for putting the availability of your environment at risk as reporting around capacity could be calculated incorrectly. One of the challenges that comes along with a large number of SQL Servers, that aren’t always built out in a standard fashion, is that you run into problems whereby correct AV exclusions are not set, leading to performance problems (and other issues). 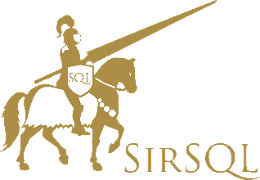 Going through and quickly grabbing the location of the SQL Server executable, or the directory in which it resides can be cumbersome. Doing it once is a pain, doing it 30 times multiplies that pain by a factor of about 400. A quick query run against your servers (and done against server groups) can quickly return results for your machines and help you get on your way again. Yesterday I posted sp_GetAGInformation, a stored procedure for gathering information about configuration of Availability Groups. Based on feedback I’ve added an additional column to indicate the health state of the AG. Download the updated version for this additional information. The release of SQL 2012 brought about SQL Server AlwaysOn Availability Groups (AGs) as a new way to manage HA for databases. This can be quite useful, however it is missing a great deal of information, that as a DBA, I would find useful, like read routing and listener configurations. On top of that the dashboard only provides information on one of the AGs at a time. If you have more than one AG then you have to open up an entirely new dashboard. This just wasn’t working out for me, and so I wrote a stored procedure (sp_GetAGInformation) to provide me with the configuration information for all the AGs running on a server. As you can quickly see in the above example the AGAdvWrks AG has a listener, an auto-failover partner and two servers in the read routing order. It also contains two databases. AGTestAG doesn’t have any sync secondaries, or a listener, and only contains a single database. If you have several AGs running in your environment this can be a real time saver. What’s also great is to pull this data centrally and report against it. For example, right now I have a PowerShell process that queries every server, pulls the data back to a central location and reports on any changes in the configuration (if a servers gets pulled out for some reason, or a database added or removed from an AG). This can be an a real timesaver, in particular when you need to connect to a primary, but aren’t sure which server it is (given that neither SQLPS nor SSMS support multisubnet failover connection settings). One of the limitations is that the data can only be obtained from the primary in an AG as certain sets of the data only reside there, and the read routing configuration can be (and should be) set differently on each server. Give sp_GetAGInformation as try and let me know what you think. Any ideas for improvements are warmly welcomed. 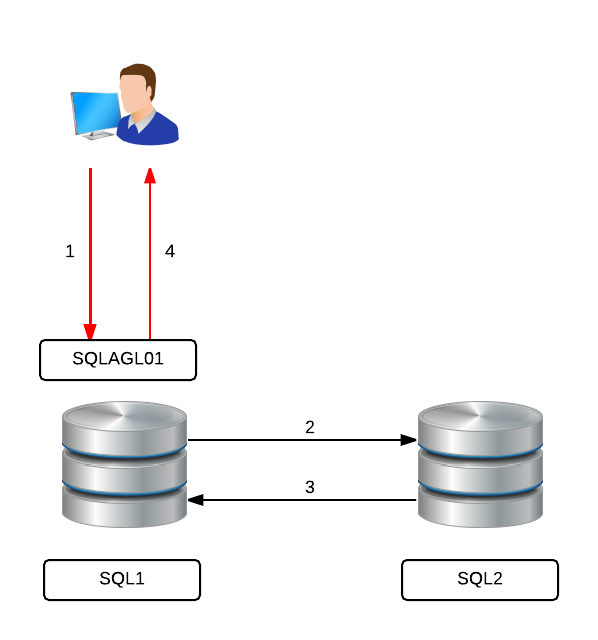 One of the big advantages to using SQL Server Availability Groups is the ability to automatically push read traffic over to a secondary server. This is particularly useful for larger queries that would take a few seconds to run and consume large amounts of resources. It’s not something recommended for short, fast queries, just because the additional latency of connecting to the secondary could slow down the overall response time for the query. The Microsoft documentation on setting up Read-Only Routing in SQL AGs is pretty solid and explains how to get this up and running. In secure environments there is usually a firewall that resides between the front end web, application or mid-tier servers and the backend database server. This firewall would block all traffic to the backend except for specific ports to specific IP addresses. This is one of the defense in depth items that helps to keep your databases secure. When using a firewall in conjunction with SQL Server Availability Groups (AGs) it is common to just open up the firewall to the AG Listener. That way there is a single IP open for all the database servers that reside in the AG and any machine that is not acting as the AG primary is not available through the firewall (reducing attack vectors again, a nice side effect). 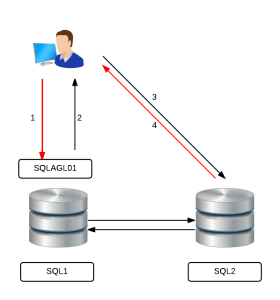 This way the primary server (in this case SQL1) would arbitrate all the traffic for the query that comes in. In fact read routing does not function this way. 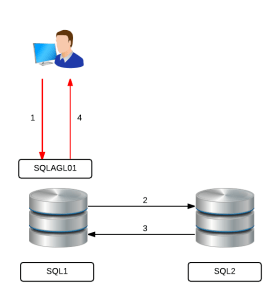 When the client request comes in SQL has to check that the readable secondary is available to accept the query (otherwise it will go to the next server in the routing list, which is why you should always have the primary as the last server in the routing list, just in case every other server is out of service). This means the query will take a little longer to execute as the arbitration and network changes will take additional milliseconds to complete (why it is not ideal for small, fast selects). Where does the firewall come in? Using a firewall and only opening up the IP of the Listener is the best way to handle security, but if you want to use readable secondary server and read-intent routing that’s not going to work. Due to the way that the traffic is routed you would need to open up the firewall to each individual server and port that would be a secondary. So in our above example the firewall would need to be opened to SQLAGL01, SQL1 & SQL2 in order to support client requests. If those rules aren’t opened then you’re client traffic will be blocked and you’ll get the dreaded “Named Pipes Provider: Error 40” error, which isn’t much of a help. A really useful way of testing your read-intent connections is to use a quick PowerShell script from your front end server (if running Windows) prior to putting it into rotation. Download Check-ReadRouting.PS1 and enter the AG Listener name, or IP Address and the name of a database in the AG. If things are working correctly it will return the name of the primary and first server in your read-only routing list. If you get a timeout then you have either not set the read-intent URL correctly for your secondary, or you are having firewall issues connecting, and so should investigate further. Read-routing can be really powerful and useful, you just have to be careful of the gotchas in getting it working correctly. As a sysadmin on the system in question I was very confused by this and it took a little bit of investigation to find out that the problem was actually being caused by the execution context of the stored procedure. Now we’ll create a couple of procs to pull data from the table. The first will execute under the context of the calling user, and the other under the context of the user TestUser that was just created. Now we can execute both of these procedures and get results just fine. However if we attempt to run while grabbing the actual execution plan, or attempt to grab an estimated plan then the second call dbo.GetSomeDataTestUser will fail with the SHOWPLAN permission denied error. What happens is that when the stored procedure runs it does so under the context of TestUser, and that user does not have SHOWPLAN permissions in the database. This means that you cannot display an execution plan, not could you gather TIME or IO statistics. This didn’t make much sense to me at first, just because I was a sysadmin, but after thinking for a while it is actually the correct way to handle things. All the permissions are contained for execution of the code within TestUser. So if TestUser does not have the rights to do something, or access something then the calling user would not be able to get to that information. It’s worth noting that this permission is database scoped, so don’t expect to execute it in one database and have it work everywhere. Technet has a good write-up about all the things covered by SHOWPLAN, it is worth a read for more information. TL;DR – If you get SHOWPLAN denied errors check that the context for the user actually execution the query has the requisite permissions, and grant showplan if needed. Microsoft have just posted a hotfix for a very serious bug in SQL Server 2012. This bug could potentially cause you to lose data during online index rebuilds.